"Three tubular aluminum cages could revolve separately or in combination to give roll, pitch and yaw motions at speeds up to 30 revolutions per minute, greater than those expected in actual space flight. Nitrogen-gas jets, attached to the three cages, controlled the motion. 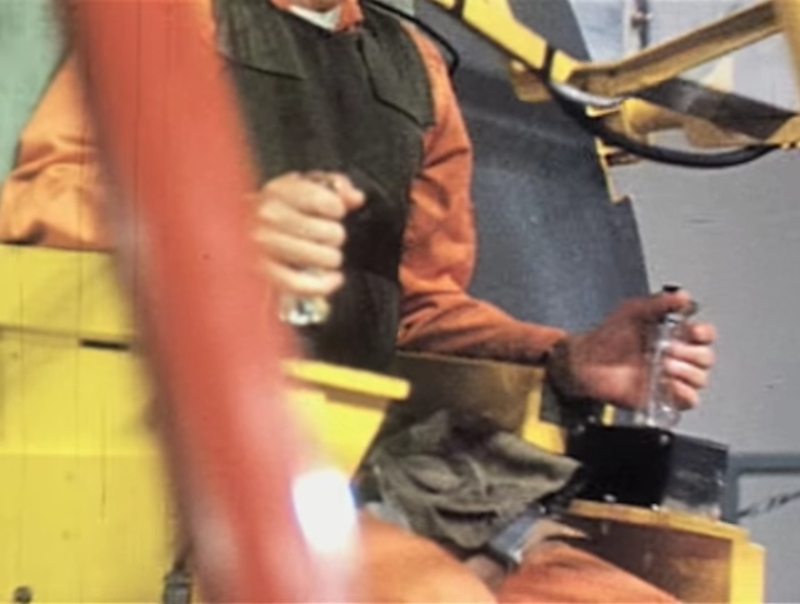 (...) At the center of the innermost cage, the pilot was strapped into a plastic seat, similar to that in the Mercury capsule. His head, body and legs were held in place, leaving only his arms free. The pilot actuated the jets by means of a right-hand control column. Communication was by radio, which was operated by a button atop the left-hand column. An operator at the control station started the complex tumbling motions, and then switched control to the pilot. By reading instruments mounted at eye level before him, the pilot interpreted his motions and made corrections accordingly. A movement of the column to the right or the left fired the nitrogen-gas jets on the roll cage. In a similar manner, forward or backward movement of the column fired the jets on the pitch cage, and twisting movements actuated jets on the yaw cage."